The time has arrived and the Leigh Art Trail 2017 has begun! Now in its 20th year, the Art Trail is on from 10-17 June with over 70 artists exhibiting in over 50 venues around Leigh on Sea. SEVEN, a creative journal collective, are exhibiting at Planet Leasing, Leigh Road, and day one has been a real success with over 60 visitors. 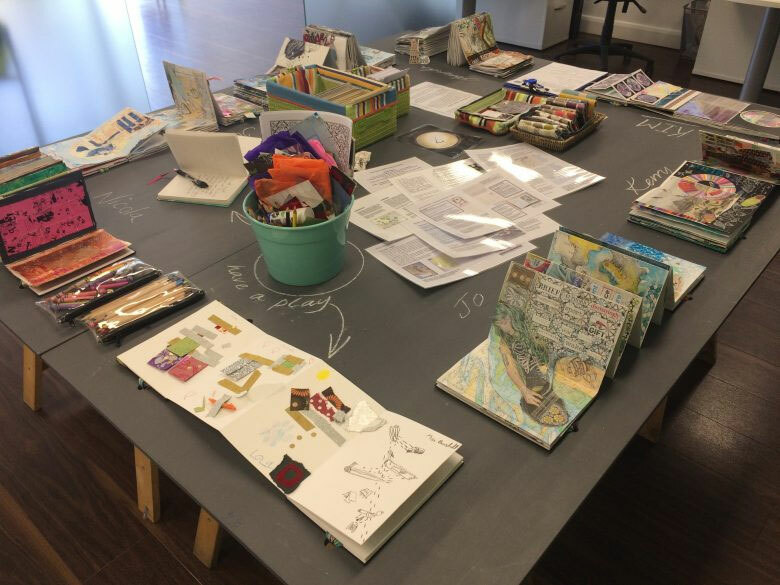 The display includes one sketchbook from each artist and there is a blank sketchbook for visitors to add their own contribution. 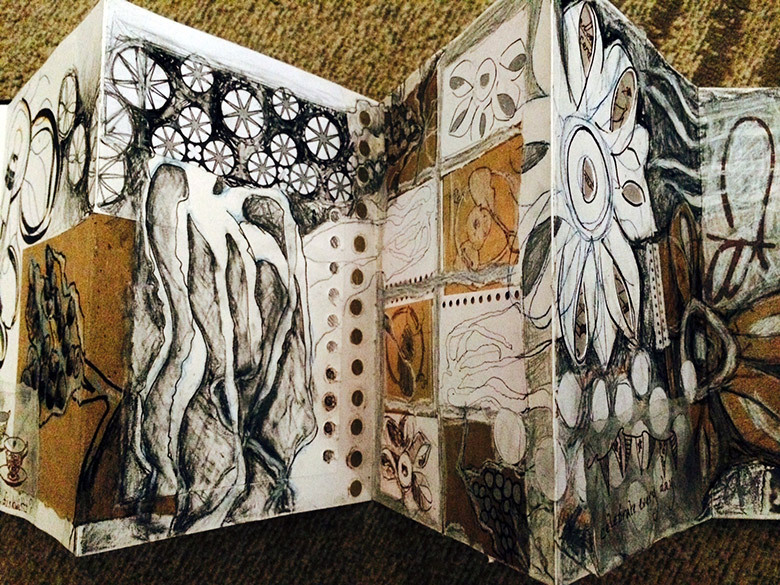 SEVEN have been developing the sketchbooks for four months in the run up to the Art Trail and its a real inspiration to see the final result. 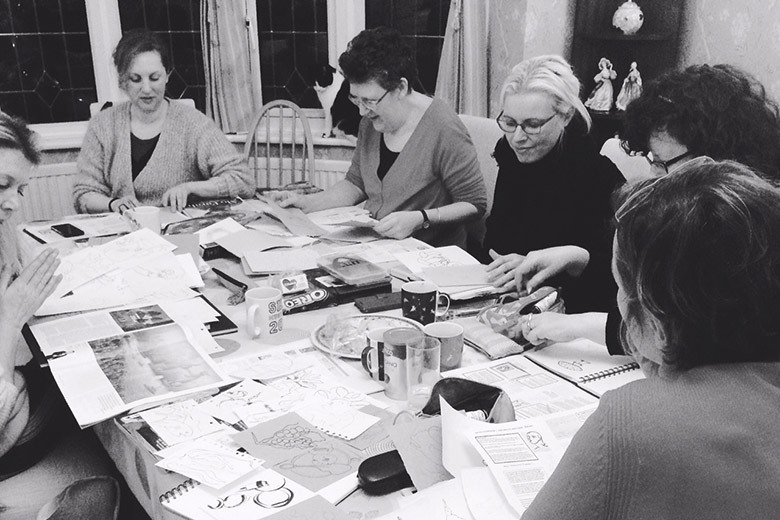 SEVEN have been meeting on a bi-weekly basis and each artist has run a workshop which focused on one of their favourite processes including blind drawings, one-minute sketches, assemblage, maps, abstract and threads of thought. Each artist then developed their own work and shared their developments on Instagram. You can download the workshops from the SEVEN website and if you would like to follow the developments of SEVEN go to instagram/sevenartistsuk. Read more about the Leigh Art Trail and discover the work of some amazing artists. 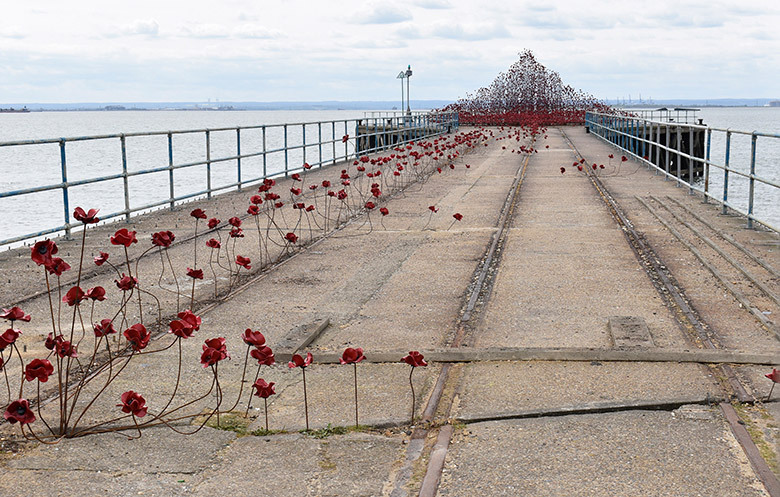 Poppies:WAVE installation is one of two installations on tour around the UK in 2017 as part of the 14-18 NOW WW1 centenary art commissions. Following on from the installation: Blood Swept Lands and Seas of Red at the Tower of London in 2014, artist Paul Cummins and designer Tom Piper have now created Wave and Weeping Window. 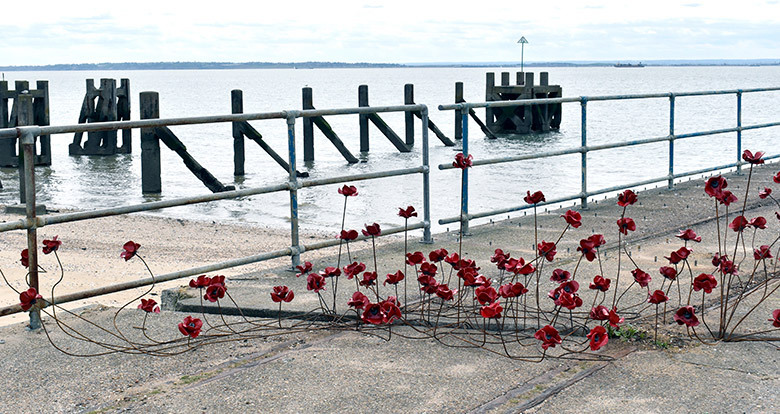 Shoeburyness is one of only two locations where the Poppies:WAVE installation can be viewed with a backdrop of the sea. 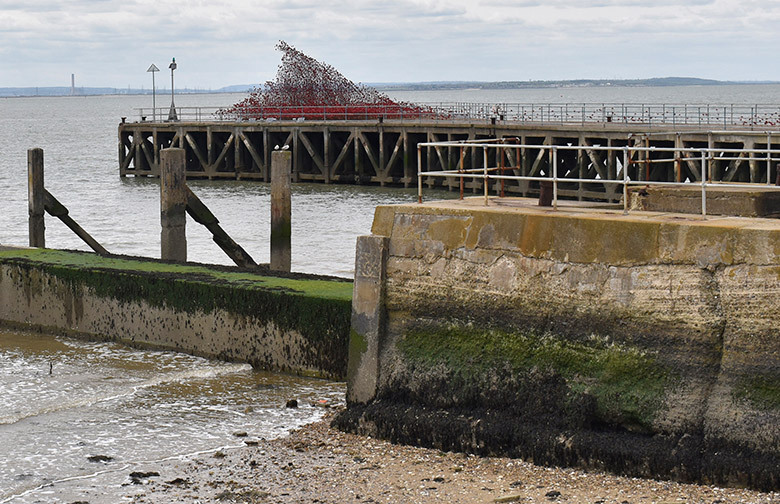 The location was chosen as Southend-on-sea saw one of the first air-raid attacks on the UK during WW1 and Shoebury Garrison played an important role in the design and testing of artillery guns. Wave and Weeping Window are made up of thousands of hand made ceramic red poppies. The tour in 2017 includes Derby, Belfast, Cardiff, Hull and Plymouth. 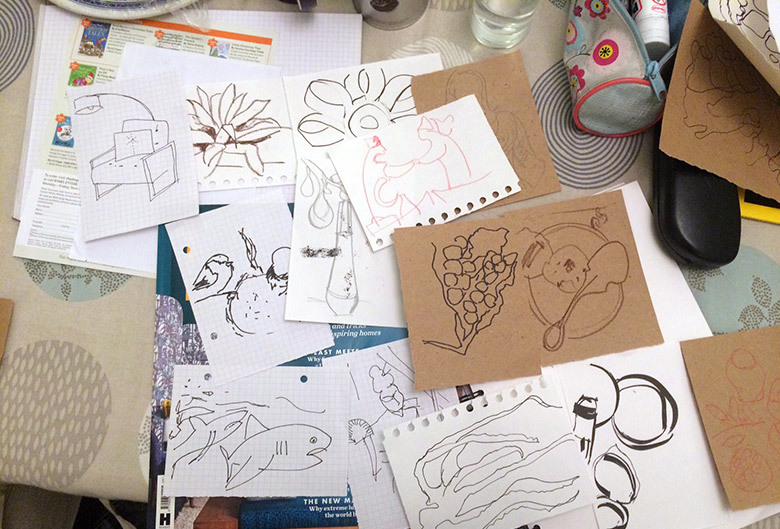 I’ve been attending Creative Journal workshops held @MetalSouthend, since 2015. 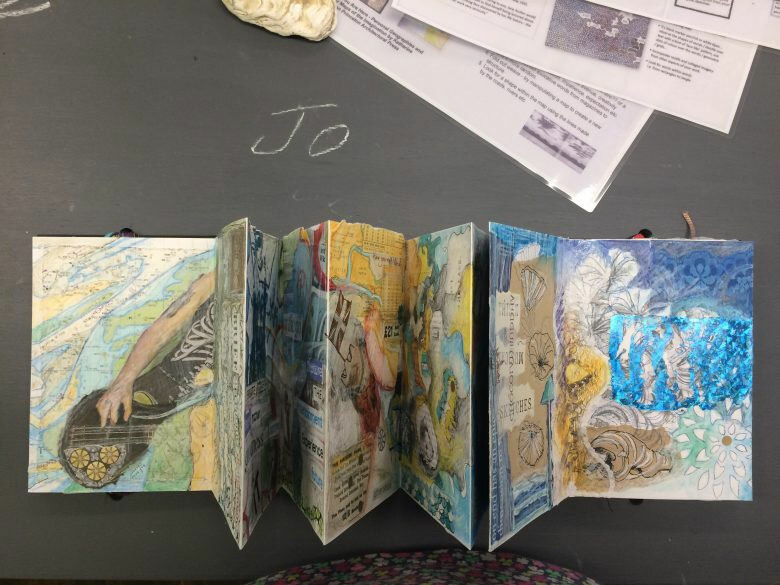 In January 2017, a small group of seven artists, who had attended these workshops, decided to form a creative sketchbook collective, called SEVEN. As part of the Creative Journal workshops we had been invited to exhibit at the Village Green Festival in 2015 and 2016. We had all enjoyed the experience so much that we were keen to explore other exhibitions. Locally there is an event called the Leigh Art Trail (LAT), which in 2017 will be its 20th year. The trail takes place in shops and venues in and around Leigh on Sea in Essex. To celebrate the 20th anniversary LAT were keen to increase the number of venues and to invite more artists. SEVEN got together to submit our application and we were successful! SEVEN will be exhibiting at the Leigh Art Trail 2017 in the Planet Leasing venue. You can follow SEVEN on Twitter and Instagram.